A new ship has docked in LaSalle. 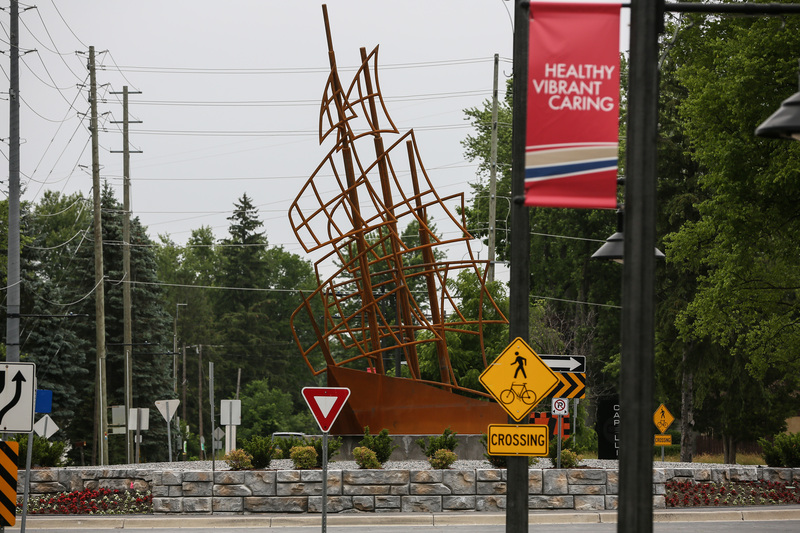 The new 25′ tall x 25′ long sculpture of the “Griffon”, which is the ship in the Town of LaSalle’s logo was installed in the roundabout at Malden Road at Wyoming Avenue last week. It was engineered and built by Ben Snyder of Snyder Metal Fabricating Ltd. 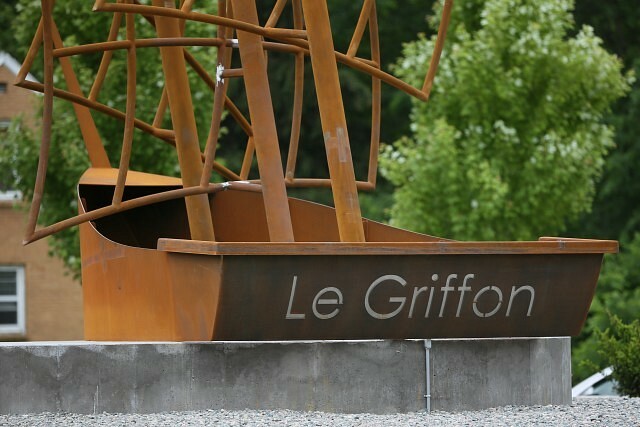 The Griffon was a 17th-century barque built by French explorer René-Robert Cavelier, Sieur de La Salle. La Salle established a mission in the Town of Sandwich, resulting in people settling in the Turkey Creek area. 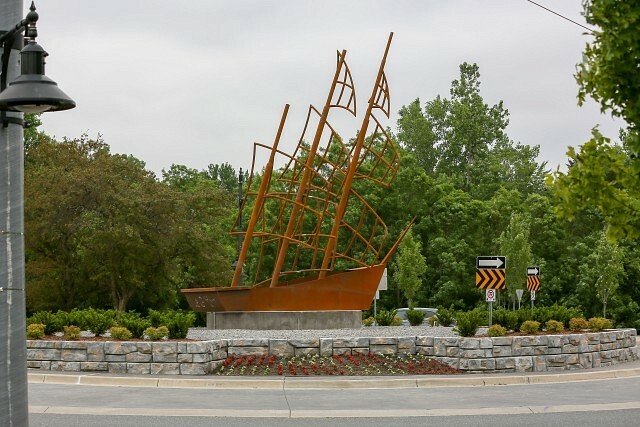 La Salle built the ship in his quest to find the Northwest Passage to China and Japan. 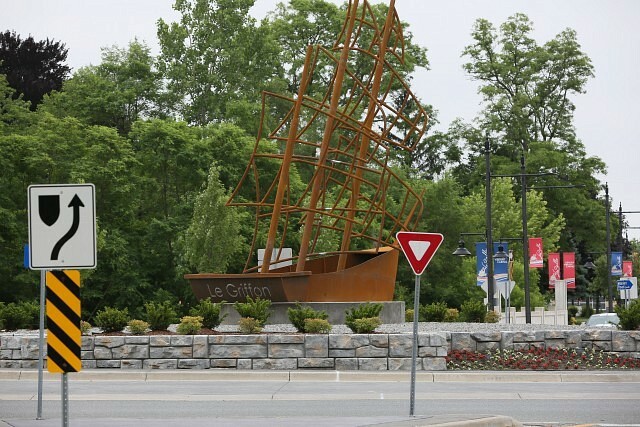 It is believed that in 1679, the ship sunk on its maiden voyage in the area of Lake Michigan. In addition to the new ship, the roundabout has also been completely re-landscaped.